You choose the level of service that meets your needs. If you want 1, 2, 5 or 7 days per week, desks cleaned, floors vacuumed and bathrooms sanitized. No problem. We will clean to your expectations and requirements. Take advantage of our Multi-Point inspection approach to cleaning and get the quality of service you deserve. Altius Clean offers House Cleaning services in the Boise, Meridian, Eagle, Nampa, Kuna and Caldwell Idaho Areas. We specialize in sending professional house cleaners to your home to work on your preferred recurring schedule. Our house cleaners are carefully trained, Background checked house cleaning professionals that know how important a clean home is to our clients and work hard to make your house shine. Call today for a consultation and to schedule your cleaning services. Quality janitorial and Commercial office cleaning services for businesses of all sizes in the Boise area. We offer both water extraction carpet cleaning and dry carpet cleaning methods. We offer interior and exterior commercial window cleaning in the Boise area that will leave your windows spotless. We offer the highest quality of service and believe that our secret is maintaining great comminucation with our clients. Altius Office Cleaning & Janitorial serves the areas of Boise, Meridian, Nampa, Caldwell and Eagle Idaho and provides commercial janitorial cleaning services for commercial and industrial buildings with high attention to detail to meet and exceed your cleaning needs. 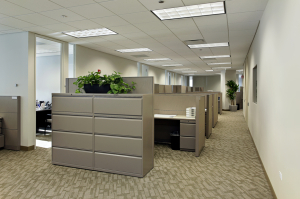 We offer janitorial and office cleaning services for all types and sizes of businesses and facilities. We understand that the impression your employees and customers have about your business is directly related to their level of comfort while in your facility and that responsibility is directly tied to how well your office cleaning or commercial janitorial company performed their duties the night before. As a local Boise area cleaning company, Altius Office Cleaning & Janitorial hopes to earn your business each day by making the cleanliness of your building something you no longer need to worry about. Quality, honest, do the full job every time cleaning companies are hard to find. we hope you will give us a chance to show you the Altius Office Cleaning and Janitorial difference in the Boise area. As local leader in Office Cleaning and Janitorial services in the Boise area we strive to meet our client's expectations through ongoing employee training and strong onsite management. We feel that it doesn't matter if you are a small or large account that you deserve our very best every time.